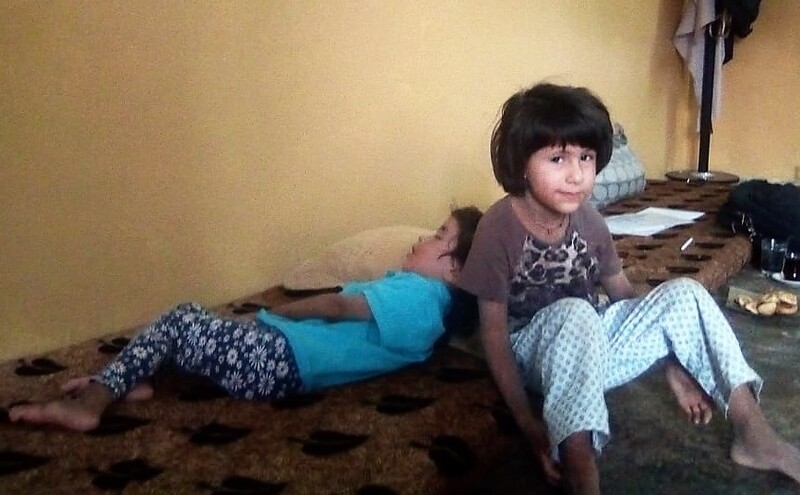 Dunia is a 7-year-old girl, her younger brother Diar is a 4. 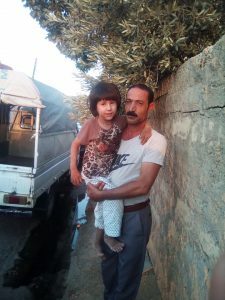 The pair now lives in Shekhan village but originates from Gerzan in the South of Sinjar district. They were forcible removed from their home in 2014 by the encroachment of ISIS invaders. The two children have both contracted Ichthyosis. This disease causes patients to lose the protective barrier that keeps moisture in the skin, this creates a build-up of skin cells that resembles fish scales on the surface of the skin. This is terribly irritating and can be the cause of infection if not treated properly. The condition cannot be cured but treatment can relieve scaling. Their medical condition is coupled with a genetic joint problem which severely limits their mobility. Little Diar also has Cerebral Palsy and requires multifaceted treatment. Dunia and Diar both need a total joint replacement operation to improve their ability to move, run and play. Their operation will cost a total of $3000 which is out of the realm of affordability for their household. Fortunately, it is not all doom and gloom: these two are fighters with a lust for life and they just need a little help along the way. The earlier medical treatment is initiated the better the results will be and the greater their quality of life will improve. Accordingly, we decided to raise money especially to support the family with the cost of the joint operations. In fact, these operations will allow Dunia and Diar to walk again and have a chance to grow up more independently despite their disadvantaged situation. Thanks to a donation from Poland we are finally able to cover most of cost of both operations so we hope Dunia and Diar will undergo their procedures shortly with good results.